Without the cosmos, there would have been no civilization. But, without Civilisation, there would have been no Cosmos. And probably no Civil War or Jazz. 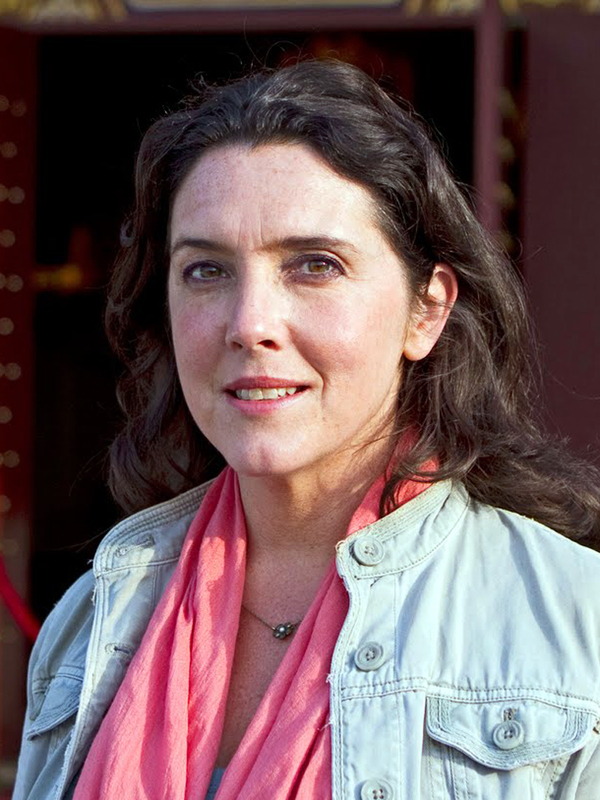 And no jobs for all those BBC presenters, from Bettany Hughes to Michael Wood. And Michael Palin would have been merely another retired Python. 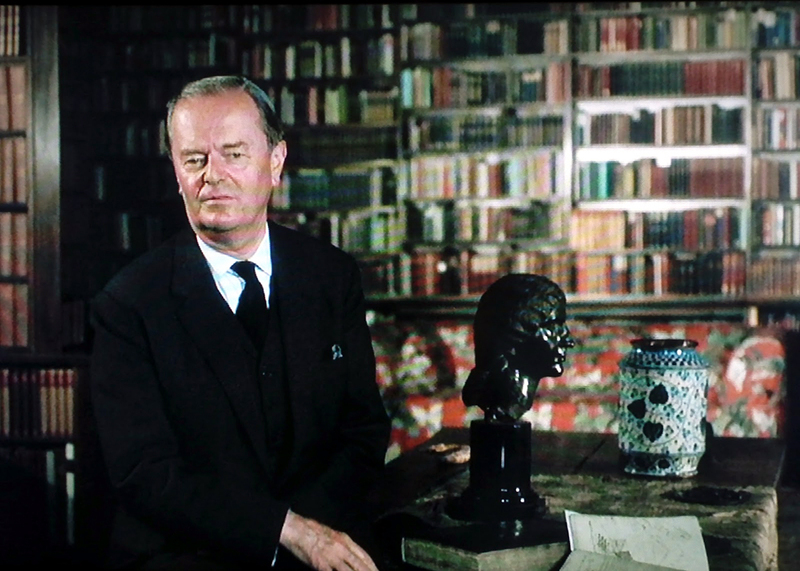 Sir Kenneth Clark’s 1969 BBC television series is the granddaddy of all BBC and PBS high-culture series, where an engaging personality teaches us history or art from a personal point of view. For anyone who remembers seeing Civilisation when it was first broadcast in the United States in 1970, seeing it again, now on DVD, will be a revelation. First of all, the film quality is excellent. Unlike other old series, presented in grainy, contrasty aged versions, Civilisation looks mahvelous, just as crisp and bright as when it was first broadcast. The series was initially filmed in color, and on 35mm stock, making it visually stunning. The BBC has remastered the original films onto HD and they are now available on Blu-Ray, at least in Europe. (One hopes that an American Blu-Ray version is soon in the offing). Second, it is a much better, more nuanced view of its subject than you probably remember. If you recall it as Clark, with the British public-school back-palate drawl, talking about the “great masterpieces” as if he were an Oxfordian tour bus guide, you will be in for a surprise: His view is much more subtle than that. Certainly, since the series was made, the general view of art and history has broadened, and the view of Western civilization as the be-all and end-all of human existence has been tossed out on the rubbish heap of ideas. Deconstructionists have shown us how our aggrandization of certain fetish items of cultural history has merely served to legitimize a particular ruling elite. Yeah, yeah, yeah — we know that. But Clark’s view isn’t so simple. 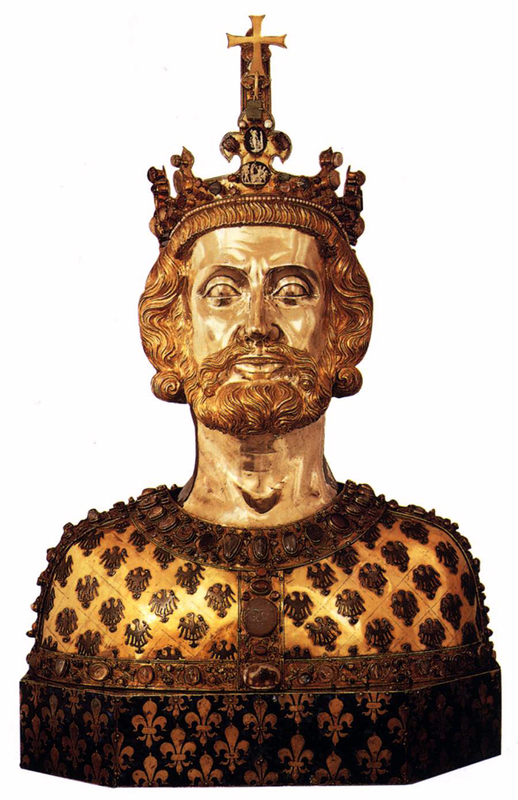 It is true that he exemplifies an old-fashioned “great man” view of history, and for that we have to listen to him with a grain or two of sodium chloride, but he is not merely the smug purveyor of status quo. He makes a serious attempt to discover just what civilization might be, and uses the past 500 years of European history to make his discovery. And look at the buildings, we do. That is a third surprise in the series: Clark’s willingness to shut up for long periods of time while the camera shows us the art, the building or the landscape, so we may discover it for ourselves and not just take Clark’s word for it. He is more interested in sharing something with us than pounding us with his point of view. We could do worse than consider his point of view, for it isn’t just about justifying power, but about seeing the results of how we view ourselves and our culture. Civilization, Clark says, is energetic above all, always making something new. It is aware of the past and supremely confident and willing to plan for a future that will extend beyond our lifetimes, and therefore has a belief in permanence. It also has a firm belief in self-doubt. It fosters compassion and is willing to consider other points of view. It is this last that the current wave of deconstructionists has failed to notice: Deconstruction itself depends on one of the supreme ideals of Western culture. 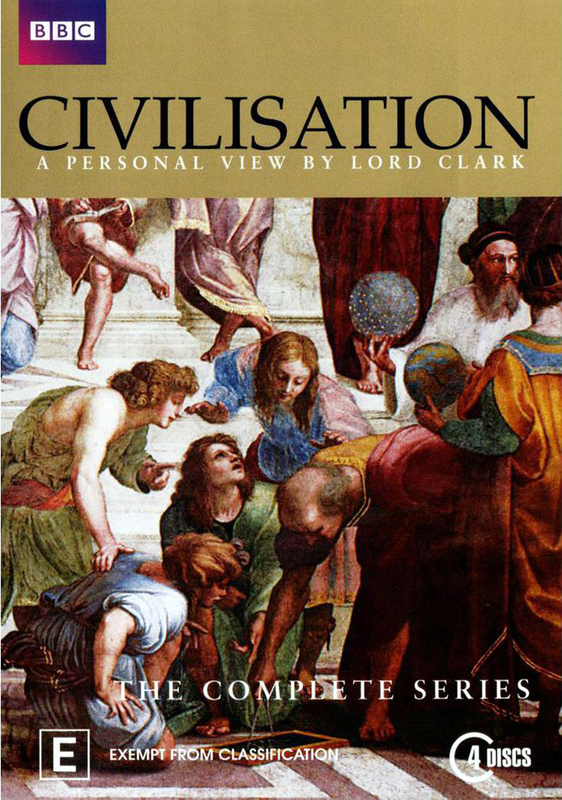 The full title of the series, with its British spelling, is Civilisation: A Personal View, and we should never forget — and Clark never forgets — that it is a single take on the subject. It is an opening statement in a conversation, not a final word to close off discussion. And carping critics who complain that Western civilization — and post-Classical civilization at that — is hardly the be-all and end-all of civilizations in the world — well, Clark admits he has enough on his plate to cover Charlemagne to Monet. We wait for his counterpart to give us a similar personal overview of China, India, Africa or the New World. Clark has given us the template. Have at it. The BBC took a chance when it made its first full-color TV series. It ultimately proved so popular that it was followed by Jacob Bronowsky’s The Ascent of Man and a host of others, from James Burke’s Connections to Ken Burns’ Civil War. It has proved a durable genre, but this release shows the first of its type remains one of the best of its type.